Six weeks, SIX weeks – do you know how long that feels? Having had very little out of the ordinary to mark the passage of time means that looking back time seems to have gone relatively fast. But I can honestly say that day to day it does not feel like that. For the past 6 weeks I have counted the days down as my world shrunk and I had to learn to live sitting on my bum and to let go of major parts of what it means to be a mum. 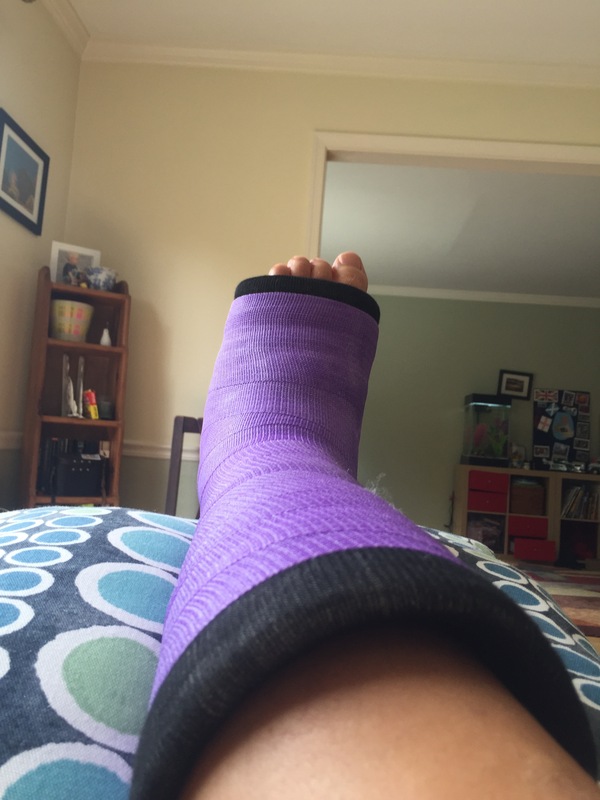 I am not allowed to put any weight on my foot and need to keep it permanently elevated so that it does not swell so much that it pops out of the cast completely. One’s mind plays funny tricks when one has relatively little access / control over a body part plus too much time. The word ‘suppuration’ has not been far from my mind. I am trying not to think about gravity taking over the shapeless masses that were previously glorious muscles too much either. Thankfully I have had the help of my lovely family – in particular mother and especially mother-in-law to help. When one’s life consists of a series of sofa’s it has been great to have such help. Monty has really appreciated it too. 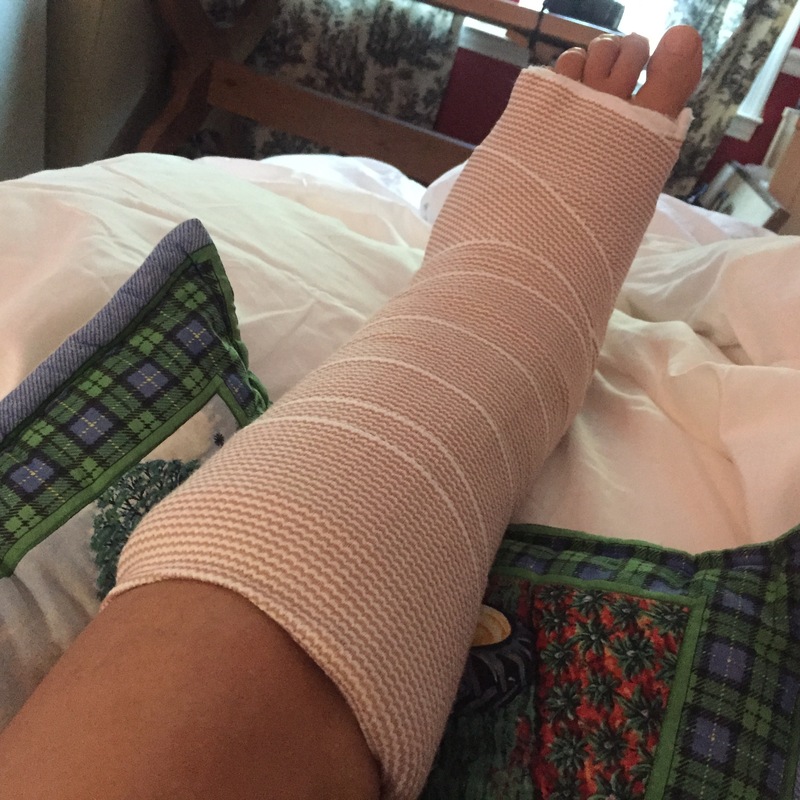 The great news is that in two weeks I get out of this cast and into a new one. One that will allow me to walk again – and drive! I am looking forward to the end of crutches, bum shuffling and knee walkers especially. Goals do become quite vital and small steps are to be celebrated. I still am incredibly happy that after two weeks of sponge baths I can now have a shower and savor those precious 10 minutes every day. Sleeping in my own bed instead of the pull-out downstairs was another big deal too. Being able to get upstairs, albeit on my bum, meant that I could spend more time with the boy around his bedtime. In the meantime feast your eyes on what has been my life for the past 6 weeks – and the next two only! It must be dreadful not to have control of your file. It’s great that the 2 mothers have been available. Still, there’s not long to go now.